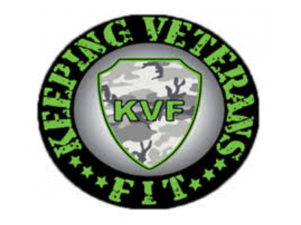 Keeping Veterans Fit is an organization that focuses on all aspects of wellness and wholeness for those that served in the Armed Forces or First Responders. Keeping Veterans Fit has adopted 10 Disabled Veterans and their families for the holidays. We are providing clothing, food and financial gifts. We need help to take care of these Veterans this Holiday Season. We are supporting them through Thanksgiving, Christmas and the New Year to ensure that they go into 2019 with the help they need to remain self sufficient. These Veterans have been a part of our PALS program. Keeping Veterans Fit also has a PALS program. This is a Practical Application of Life Skills program for both adults and At-Risk Youth. Our Adult Program is to assist Veterans transitioning from Active Duty to Civilian Life. Our Youth Program is for you that have experienced or witnessed some type of violence or trauma and are suffering from PTSD. Our youth participants are referred to us by an adult community member. We are prepared to gift these 10 families with food for Thanksgiving, Christmas and New Years. We are also going to buy each family gifts to exchange with each other for Christmas and needed clothing items. Keeping Veterans Fit is an organization that focuses on all aspects of wellness and wholeness for those that served in the Armed Forces or First Responders. Keeping Veterans Fit has adopted 10 Disabled Veterans and their families for the holidays. We are providing clothing, food and financial gifts. I am happy to donate anything I can to Keeping Veterans Fit. "Holiday Support For Disabled Veterans,"